If you’re searching for an air purifier to help with weed smoke and odor… you came to the right place. We’ve reviewed a ton of purifiers and we think your best bet is one from Austin Air. Their activated carbon filters are hard to beat when it comes to odor removal. And, just in case there’s something you don’t like about this model (looks, price, size, etc.) we’ve included some others below. One of the most talked about air purifiers for smoke is the HealthMate Jr. This purifier is small and simple in its design, but trust us it is very powerful. But, it’s power isn’t a result of the fan (it’s not all that powerful). Its purifying power comes from a awesome filter. It pulls air in from all sides into a huge HEPA filter and another with a ton of activated carbon. In fact, you will not find a purifier with more carbon than those built by Austin Air. The Jr model has about 6.5 pounds while the standard model offers nearly fifteen pounds. If you’re looking to clean a large space check out their full line of air purifiers. But, for most users, this model is more than enough. 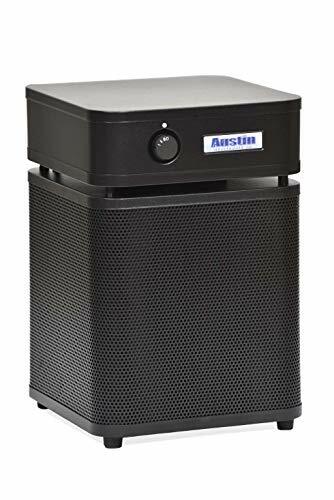 Austin Air units are great, but if you want something that has a bit more style check out this purifier from Rabbit Air. This machine features a sleek modern design that is also loaded with some of the industry’s best filters. The BioGS removes odor and pollen well and looks great while scrubbing the air of weed smoke. Buyers rave about how well this air purifier works when eliminating tough odors like cigarette smoke. It is a easy to use machine that can be operated either automatically or manually. It even comes with a remote control. You may also want to check out the Rabbit Air MinusA2. It costs more than the BioGS, but the feature we really love is that you can mount it to a wall. It also looks really nice… so that’s always a plus. If you’re looking for a purifier with all of the bells and whistles… look no further than AirMega’s “s” models. They’re packed with great features and latest tech. Does it work in large rooms? Yep… up to 1,560 square feet. It even works with Amazon’s Alexa. The AirMega “S” models also use an app for control and monitoring via WiFi. If you’re as lazy as us, you don’t really need the app all of the time though. It has a smart sensor mode to adjust power as it detects more particles in the air. We think the design is incredible, and the huge filters provide outstanding performance. The biggest downside is that we can’t afford one for every room in our home. These don’t come cheap. But, they are worth every penny (if you can afford one). The GermGuardian is one of the better budget air purifiers on the market. Now, it’s nowhere near as good as the other purifiers in this list, but not everyone can afford a few hundred bucks. It’s fairly good at smoke removal (mainly light weed smoke) and odor removal. But, you need to be close to the unit while smoking. It is light, compact, and runs quietly. It is a must-have for those who just want a device that works out of the box. The only con of this product is that it is not made for very large rooms. But, for the price of one of the purifiers above, you can purchase a few AC4825’s. For more details, be sure to check out our full review on the GermGuardian AC4825. Smoking weed is different than cigarettes or cigars. It’s usually less frequent… and doesn’t produce as much smoke. Let’s be honest… it’s mostly about trapping a little smoke before someone else has the chance to catch a whiff. And it’s a two-way street. For those of you with a neighbor who smokes; an air purifier is a great way to keep your living space smelling fresh and clean. Weed smoke and odor are very good at sneaking through a building’s walls, floors, and windows. Plus, using an air purifier is way easier than having to deal with your nosy neighbors. Marijuana smokers who live in apartments have the most trouble because they must prevent the odor from seeping out into the hallway and attracting unwanted attention from neighbors and landlords. Even card-carrying users of medicinal marijuana can become self-conscious about the odor. Some simply wish to kill the smell out of respect for their friends, family, or even neighbors with children. As we said earlier, the good news is that a smoke purifier for weed will help keep odor and second-hand smoke at bay. The first thing we compared was the AHAM clean air delivery rate for budget friendly models, mid range, and high end purifiers. Granted, some companies (Austin Air) do not participate in AHAM certification, but we have a good idea of where they’d fall when it comes to CADR. From there we take into account, the price compared to other purifiers on the list, features, and other things like size or long term cost of ownership. Budget purifiers are difficult to judge. In this price range a slight incremental increase in price can result in a large percentage increase. For example a 80 dollar purifier and a 160 dollar purifier both occupy this price range. The latter is a 100 percent increase in cost… you could have literally have two of the 80 dollar models. So when we compare these… we take way more into account than just CADR rating. But, to give you a good idea of how they perform; here’s the data we used to sort them out for consideration. As you can see from the chart above the Honeywell 50250-s scores very well compared to other budget purifiers. It does fall on the higher end of the price range, however. And, that’s close enough to some of the mid range purifiers to drive us to include the GermGuardian 4825… it’s much much cheaper. So we think adding it better rounds out our list. It’s also one of the most popular lower-end purifiers. Plus, it has a low cost of ownership and widely available filters. 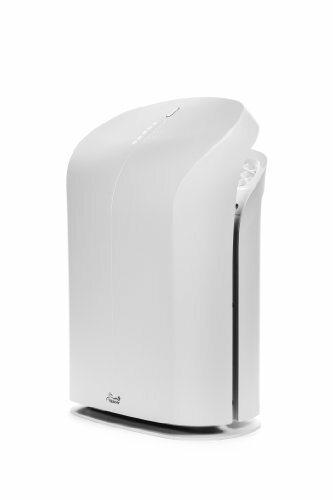 Finally, in the budget purifier category the Levoit purifier scores very well. However, it’s about the same price as the Honeywell 50250-s… but offers slightly worse performance on paper. It is however smaller than the 50250-s… so if you’re shopping those two models against one another it’s worth considering. However, in this guide we thought that the Levoit should be excluded for the same reason as the Honeywell we love so much for other uses. Next, how do the Mid Range Purifiers Compare? When you can spend a couple hundred bucks or more, purifier performance really gets impressive. The serious contenders we considered all have great stats, but some have different features that give a slight advantage… or justify spending one or two hundred dollars more on a purifier. Ultimately the purifier we recommend above all others (Healthmate Jr.) was fell into the sweet spot of this price range. It also offered the raw performance and low cost of ownership to help you kill weed smoke. If we were going off CADR alone, it would be really tough to choose between the Coway and Rabbit Air BioGS models. They’re both great. The reason we chose the Rabbit air as a runner up was the long filter life, ultra quiet operation, and incredible warranty. But, it was super close… in fact one of these days we might rethink this list and add the Coway because it’s at the lower end of the mid price range spectrum and offers awesome performance. Finally, what if You Smoke Weed and have a Big Budget? So, these aren’t crazy expensive… but they are on the upper end of purifier pricing. The IQAir is actually the most expensive, but it’s awesome if you have the cash. The AirMega models are all great, and pack a ton of incredible features into a sleek housing. It’s hard to not pick the AirMega for this list, but fortunately Blueair helped by building the 605. The 605 has a ton of features… fairly similar to AirMega in everything but the looks department. But, it’s CADR for smoke is off the charts. And, since we tend to consider weed smoke as a little lighter duty than cigar or cigarette smoke, this is overkill for those of you with some extra cash laying around. So what if none of the purifiers we covered meets your needs? Maybe they just didn’t look quite right. Or they didn’t offer the combination of features you desire (sleep mode, auto mode, remote control, etc.). No matter what… we still want to help. So here’s a quick how to that covers what you should look for when shopping for your new machine. Every purifier we considered for this guide has a HEPA filter. It’s pretty much a given when you’re talking about a purifier that’s good enough to help you with any kind of smoke. A lion’s share of smoke particulate is larger than 0.03 microns. In fact the things you can see with the human eye are much, much larger than that. However, a lot of the more harmful things are smaller than 2.5 microns. The one caveat is that if the HEPA filter is unprotected, or is the first thing to contact smoke-filled air… it will clog. HEPA filters are incredibly fine, and without a prefilter or two; you’ll be shopping for a new filter in a matter of weeks or months. Since HEPA filters and smoke can be a recipe for frequent filter replacements, you’ll want large filters. The more surface area a filter has the more difficult it is to clog. Every square inch of filter helps extend the life of the filter itself. This is really important. You need a filtration material that captures the things that are too small for a HEPA filter. Things like odor and combustion gasses just pass through almost untouched. But, thanks to activated carbon’s huge surface area and ability to adsorb (not absorb) gas from the air… it is a perfect companion to the HEPA filter. Also, more carbon is better… but you don’t necessarily need a ton of it to work. One gram will adsorb about 3,000 square meters of gas. So a larger activated carbon filter will last longer (in theory), but it will not always soak up more odor. This is especially true if the carbon filter element is also the prefilter. If you’re clogging the pre filter/carbon filter with pet hair and pollen you’ll want something that’s cheap and easy to replace. That’s one of the reasons we generally like the Honeywell 50250-s is that the carbon pre-filter is so cheap. Bottom line, we won’t recommend many purifiers that don’t have activated carbon. We would never recommend a purifier for smoke that did not have one… it would be pointless. You need to move a lot of air to capture smoke, and that’s the job of the fan. If you let smoke linger too long it will just soak into furniture, clothing, carpet, etc. You want to keep the air in the room moving so it doesn’t have a chance to get too comfortable. Compared to cigarette smoke and cigars, weed is a bit of a lightweight. Frequency of smoking and volume are nowhere near as much of a problem, but the odor really makes weed problematic (from a purifier point of view). So you’ll still want a powerful fan to keep that dank air moving over the carbon. The easiest way to make sure this happens is to buy a purifier that’s rated to cover a much larger area than you think you need. Can an Air Purifier Help with the Smell if You’re Growing? Yes. Absolutely. But how well an air purifier will work depends on quantity and volume. For most home growers any purifier in this article will work very well. You may also want to look into an odor-proof grow box. Is there a Purifier that Will work in my Car? There are some great purifiers for cars… but, none of them work well while you’re smoking. Your best bet is to just roll down the windows. But if you want to get rid of the lingering smell you may want to consider an ozone generator or one of these. Treat it pretty much like any other lingering odor. But, for more info check out this article we wrote a few months ago. Will a Purifier Keep Smoke Smell Out of My Furniture? This is a tough one. But, unlike other review sites… we’re going to give it to you straight here. Not Really, No, Nope. Fabric covered furniture (and pillows, curtains, and rugs) soak up smoke odor like a sponge. A powerful purifier and good ventilation will probably help. But, don’t expect too much. Weed smoke is so powerful; expecting that a purifier is going to capture every smoke particle before it touches anything else is just not realistic. If hiding the smell of weed is that critical buy some edibles (don’t cook your own… don’t ask how we know). Or smoke somewhere else; outside or away from your home. So this one brings us back to our younger years… A Sploof is basically DIY air filter that is thought to help with the smoke you exhale. It’s typically constructed of a toilet paper roll, a dryer sheet, and a rubber band. It kind of works… but not as well as you think it’s working. A Smoke Buddy is a commercially-produced version of a sploof that does actually work… pretty well. The down side it that these methods do not catch any smoke other than some of what you exhale. But – they’re both better than nothing. What is your favorite Smoking Tip? So we have a lot of thoughts and tip on how to smoke in a room without the smell becoming a problem. But the one we think everyone misses is that if you have a ceiling fan… use it. As you know smoke rises and without air circulation a purifier is going to be much less effective. Now, while some purifiers have good enough fans to circulate air – others do not. So we like to tell people to turn their ceiling fan on to its first or second lowest setting. Just enough to keep smoke from lingering in one spot. And this tip is equally important whether you’re dealing with cigars, CBD, or tobacco smoke. Are People Buying Purifiers for CBD Smoke? We haven’t really seen an uptick associated with the growing popularity of CBD. But, we do expect that some people will want to mitigate CBD smoke just like when medical marijuana became popular. However, our friends in the CBD industry are saying that oils and edibles are more popular. 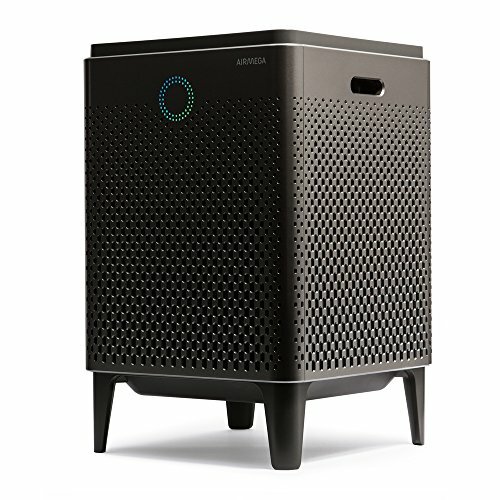 So if you use CBD we’d recommend getting a more general purpose purifier to improve air quality; instead of spending more to get one designed for smoke. As we said earlier, the best purifier varies on a case by case basis. However, if you smoke weed indoors we highly recommend buying an air purifier. It will greatly improve the smell and air in your living area. And, beyond your health and personal space reducing the impact on those around you will help when it voters head to the polls to vote for medical and other pot use. Using a clumsy homemade weed smoke filter (also known as a sploof) and dangerous sprays to reduce smoke is a little ridiculous. On the other hand, buying a purifier for smoke is one of the most effective ways to reduce the unpleasant aspects of smoking indoors. Remember, when shopping for the a purifier (for smoke) get one with HEPA and activated carbon. That way you’ll cover almost all of the airborne pollutants created while smoking. With those three factors covered, you should be good. And, until air purifiers come with the best purifier for weed smoke rating on the box we will be here to help you make the right decision. Oh and lose the homemade weed smoke filter… it just isn’t up to the task. Do you need a crazy filter system? Nope… just common sense. 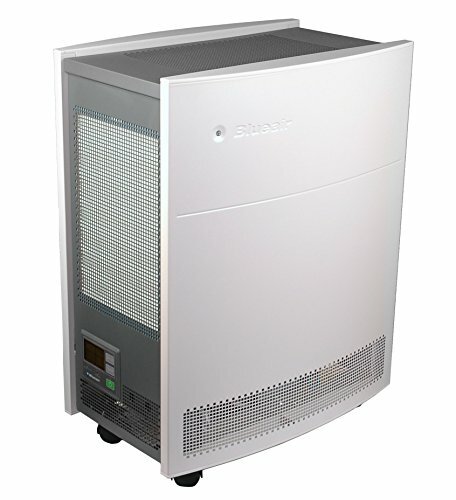 The Blueair 605 is a powerful purifier sized for large rooms (up to 775 square feet). It works great in living rooms and other large open areas. But, if you’re smoking a lot… you’ll need something powerful in smaller spaces. The base model is pretty good with smoke, but you can boost its performance with Blueair’s special SmokeStop filter. That filter has a bunch of activated carbon which makes it even better at catching weed smoke and odor. This power doesn’t come cheap, but Blueair air purifiers are some of the best you can buy.